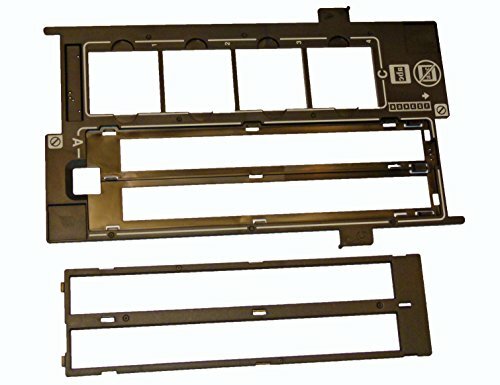 Epson Perfection V500 - Slide Holder & 35mm Film Holder Or Film Guide Negative Or Positive by Epson at EISF. MPN: 80948054. Hurry! Limited time offer. Offer valid only while supplies last. When You Have Multiple Holders, You Can Load The Second One While Your Scanner Is Working!! This offering includes all items included in the picture! When You Have Multiple Holders, You Can Load The Second One While Your Scanner Is Working!! This offering includes all items included in the picture! Please Note: This part(s) is included with scanners that are purchased new. This Holder Came With Your V500 Scanner!